If you are a bass player and love to have a handy-sized guitar on your arsenal, ukulele bass guitars are in the market today. These kinds of guitars can be a good addition to your acoustic needs if you select the best in the market. Often times, because these acoustic guitars have a similar makeup, finding a suitable one for you can be quite tiring. Before we offer the best ukulele bass guitars, you should first know the basics of what makes it a good buy. 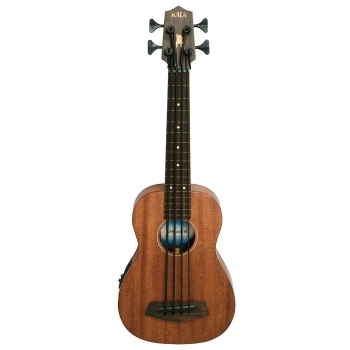 Our Top Recommended Bass Ukulele Guitars Reviewed. Like any other guitar, a ukulele bass guitar has pretty much the same parts as a normal guitar. However, the parts we will discuss here will be an explanation of what makes your guitar great, rather than mediocre. 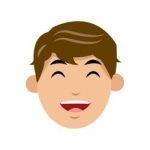 Not only will this guide make your buying choices easier, but this will also help you save more money if in case you are looking for a more quality product. This will also help you save time on deciding what kind of ukulele bass guitar you want to play. Below are the things that we will mostly cover. Size – A good ukulele bass guitar has an ideal size of approximately 30 to 32 inches only. Though the size is comparable to that of a baritone ukulele, this size should be enough for you to experience a different tone. The 30 to 32 inches should be enough for you to carry the ukulele in a standard bag and enjoy strumming with low notes. If you are ever sold a smaller guitar, stay away as they are trying to scam you. Also, beware of the label bari-bass guitars as they may be similar in size but carry different notes and tones. Body Type – Whether you are looking for a more traditional or modern bass sound is up to you. However, the body type of the ukulele is something of high priority that you should look for, as it is key to your music style. 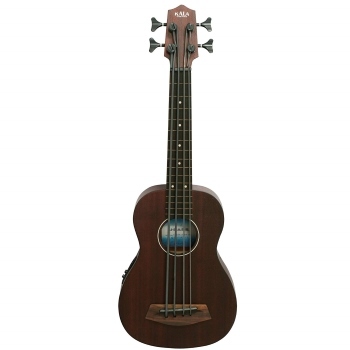 There are two kinds of bass ukuleles: a baby bass guitar, and giant ukulele. Baby bass ukuleles sound more like electric bass guitars, while giant ukuleles sound like upright basses. This, of course, has more to do with the way the manufacturers make them. Strings – Usually, in order to lower the note of a vibrating string, you have to either loosen, thicken, or lengthen the strings. This is not possible for ukuleles because they are really short, and adding thick strings make a dull and lifeless tone. The solution to this is to make denser strings, which are usually made of polyurethane or a silver/copper string with a nylon/silk core. Do note that with these kinds of strings, they require a break-in period of an average of two weeks. If you have a lot of experience, however, you may be able to shorten the break-in period of the strings by stretching them correctly. Octave Range – If you are imitating the octave range of a standard bass, you should look for a bass ukulele that plays around that range. Therefore, you should look for a slightly bigger bass ukulele called contrabass ukuleles. These are usually around 32 inches in size. 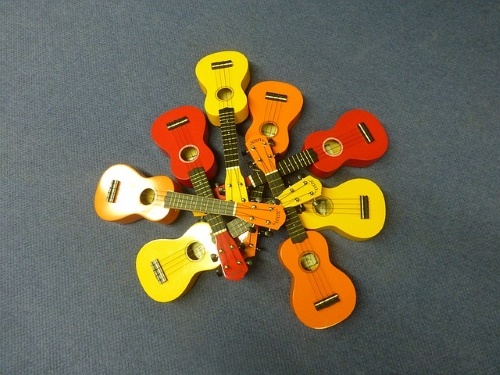 However, if you enjoy playing one octave higher than the usual, then ordinary bass ukuleles should be enough. Despite the slight difference, they still should play the same notes. Pickups – Good bass ukuleles are able to be used on either piezo microphone pickups or active electronics pickup. Sometimes, however, there are some models that do not use both kinds of pickup. An example of this is hollow bodies and solid bodies. Hollow bodied models typically use piezo pickups, while solid bodies usually use active pickups. This should not hinder you from having some inconvenience from using pickups, however. Frets – Fretted and fretless ukuleles play a huge difference when it comes to their advantages and disadvantages. However, we recommend that you should look for fretless ukuleles if ever you already know how to play a fretless instrument. This is because ukuleles are infamous for having bad intonation and the strings that we recommend for bass ukuleles stretch unpredictably. Having a fretless guitar will make you unable to compensate for the sound whenever these situations pop up. Now that you know the key points that makes a good ukulele bass guitar, you are probably wondering where to buy one right now. Since they are primarily a novelty item to most people, the best kinds cannot be found in physical stores. However, we are here to provide you with a more convenient option. Listed below are the ones we think have the most value for price and quality. Kala UBASS-SMHG-FL U-Bass Solid Mahogany Fretless has an all-solid mahogany body that creates a nice solid sound with a good feel. It uses polyurethane strings that create that deep and rich sound that mimics upright bass guitars. This product also comes with an electronic system that has a built-in tuner in it. As a result, it enables you to tune the guitar easily. Furthermore, it comes with a hard foam case that enables you to carry the little guitar anywhere you wish. 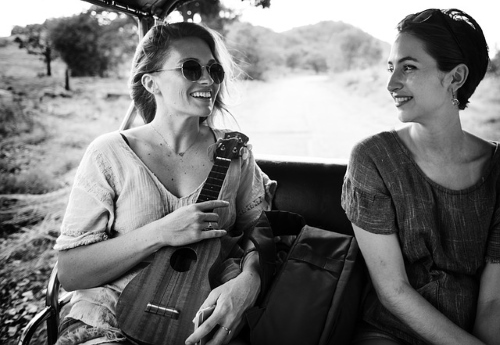 Kala is a reputable brand that you will find to suit your needs when it comes to bass ukuleles because they deliver quality products. Though you may experience some drawbacks, you will mostly find this fixable. The advantages of this product mostly outweigh the cons because it is one of the leading brands in the market today. Hadean Acoustic-Electric Bass Ukulele UKB-22 FL NM Fretless Uke has a built-in chromatic tuner with LCD display for fast tuning. It has a zebra wood body which will surely appeal to your senses and acoustics. It also comes with a preamp for amplified use with various controls. The Trus-Rod adjustable neck also helps you tune your guitar easily and quickly. It does this with a removable rear panel for easy string changes. Though the intonation can be improved on this product, one can simply play the product without any issue at all. The main issue that you may face is the string feel, as this ukulele uses a unique set of strings. Overall, once you get used to it, you will find that it is worth your money. Eddy Finn EF-EBASS-FL Fretless Ukulele Bass with Gig Bag is of mahogany material on the top, back, and sides. It uses rosewood on the fretboard and bridge for a sturdier build. The item also does this for a smoother feel on your fingers. It uses large diameter silicone Aquila strings to deliver a richer tone similar to an upright bass. Furthermore, this product uses Active Electronics for a controlled volume and tone which you can use for your needs. Before you buy this product, you should first have it tested with other amplifiers so that you will not have to experience any inconveniences. This is because the instrument’s preamp is a little selective in terms of compatibility. If you own a Fender amplifier, you will not have any issues with this product. Kala UBASS-EM-FL Exotic Mahogany Fretless Acoustic-Electric U-Bass Ukulele uses shadow U-Bass NFX Electronics for your great acoustic experience. It has a gig bag so that you may safely carry it anywhere you want. The top, back, and sides are of exotic mahogany while the neck is made of mahogany. The fingerboard is made of walnut to give you a smooth and rich feel on the board. Furthermore, the body type of this product is that of a giant ukulele so that it mimics the sound of an upright bass guitar. This product is similar to that of the first, except it is made of a higher quality standard because of the materials used in it. You will find that the exotic mahogany version plays better than the solid mahogany version. This is especially true if you are a person who likes to play all day and night. Be aware of the buzzing sound, however, because it may impede your performance. Kala Rumbler U-Bass Fretless UBASS-RMBL-FLwBAG is made up of laminate mahogany which you will find tasteful if you are into dark wood materials. This product includes a special gig bag that you can use whenever you travel with your ukulele. It also has a built-in tuner which will make tuning your instrument easier than ever before. Moreover, the tuners of this ukulele are also custom die-cast which makes them sturdy and very tight. Despite being on the lower end of the Kala models, this bass ukulele is also able to deliver beautiful sounds just like any other Kala ukulele. The only drawback to this instrument is that you may need an amplifier for a large audience to hear it. Other than that, there are not too many negative sides to this product. In summary, when it comes to playing bass, size should not really matter. Nowadays there are small items that pack a big low punch. 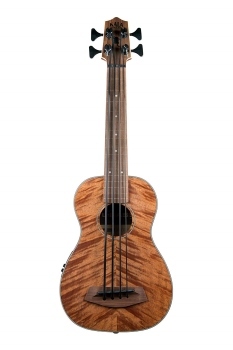 An example of an item like this is the bass ukulele guitar. If you pick the right one, you will be able to mimic the sound of a regular bass guitar. Picking the right guitar does not have to be daunting, as one should usually expect when selecting their first guitar. The guide we mentioned earlier will help you in selecting the best bass ukulele guitars offered online. However, if the selections are not to your liking you may still find other options as this are mostly suggestions only.